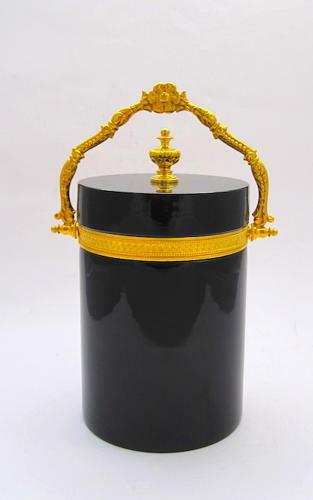 Antique Murano Black Opaline Glass Casket Box with Dore Bronze Mounts and Fancy Handle. Beautiful Black Opaline Glass and Large Size. Can be Used as an Elegant Ice Bucket.